How many times have you been in an Art City and you was wondering what that monument was build for? How and why it exists? How many times have you been in a city and you wished to know the History behind it but you had no time to organise a guided Tour? We think that Verona is a beautiful city with a rich history behind it. We decided to organise some guided tours around the historical centre of the town through all the main attractions, guided by an expert that will give you knowledge about the city and of the famous Scaligeri Family who ruled over 125years. 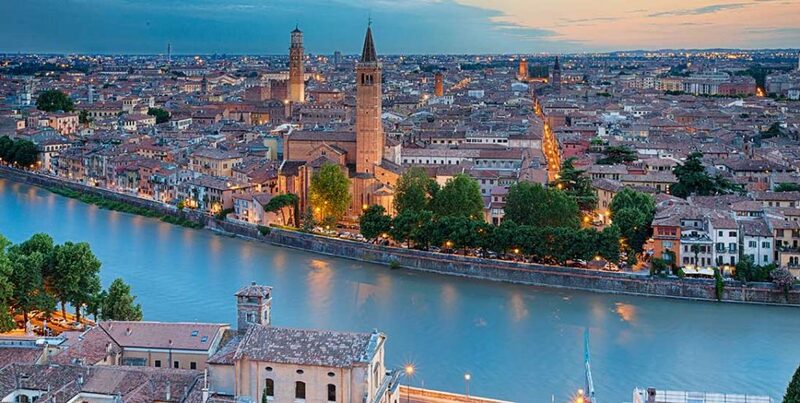 The tour will take you through the Arena, Piazza Bra, Piazza delle Erbe, Piazza dei Signori, the balcony of Romeo and Giulietta, the grave of Giulietta, the museum of Castelvecchio, Ponte Pietra and all the interesting churches around Verona. The tour guide will take you themeselves to all the attractions in the city and even those which are not on the list, the visit can be organised for a group of people or just for an individual. You can choose between an hour tour or a two-hour of the city. A city like Verona with such a rich history, deserve to be studied and appreciated.